Renewals are now closed. You will be asked for your card either on entering the club or at the bar to show that you have renewed for 2019. Members missing the February 1st deadline can expect a £5 late renewal fee on top of the usual fee and removal of all club priviligies including reduced prices and the de-activation of car park and entry fobs. If you have missed the deadline, you may see the Secretary during his office hours below. Neither Committee Members or Barstaff can help with this! Alternatively put your card/money in the letter box by his door with a stamped addressed envelope for return. See the Secretary's office hours above. In accordance with the rules of the Club, both men and women over the age of 18 can now become full members of the Club subject to approval. Following a groundbreaking decision at a recent CIU conference, women are at last given equal opportunities in membership. 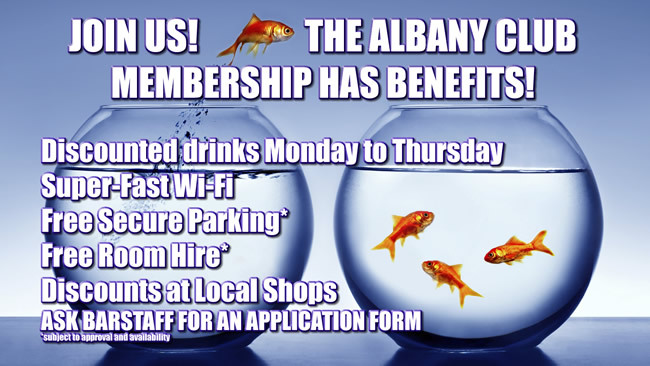 The easiest way to join is by calling into the Club and asking the barstaff for an application form, or you can download a couple in jpg file format if you click on the link below and print it from your computer. You will need two existing members signatures, one to propose you and the other to second you. Then simply return your form along with £10.20 for your annual subscription (£10.00 returnable if application is unsuccessful) to the Club Secretary, Trevor Groom, or hand it in at the bar. Your name will then be posted on the notice board in the foyer for a period of 2 weeks. 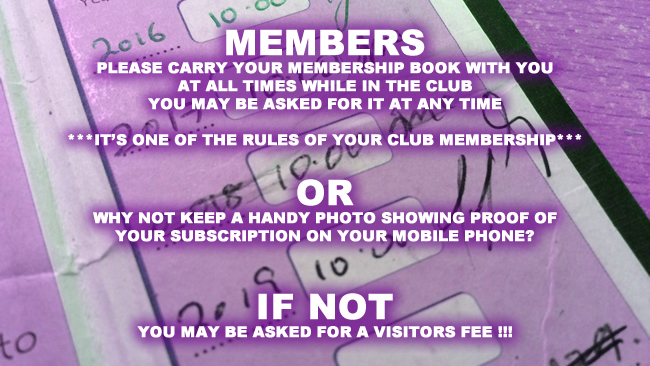 Provided there have been no objections to you becoming a member, you may then collect your club cards from the Secretary. You will have a period of 2 months from the date of your application to collect your club cards. Failure to do so will result in you having to re-apply and forfeiting your advancement of subscriptions. You may then also become an affiliate member of the C.I.U. if you wish (additional subscriptions apply). Processing typically takes 2 or 3 weeks. New Members should obtain a copy of the Rule Book to see what is expected and rules pertaining to disciplinary proceedings and the like.
" The Rules Department has obtained approval for a set of Model Rules for clubs from the FSA. A ‘Complete Amendment’ is based upon this Model Rulebook but this may also be amended to accommodate a club’s particular requirements." Together as a group we are stronger, we have a say in the running of our club - what we sell, when we open, who can come in. The club can be a life saver at the weekends when Earlsdon is like being in a busy city centre. Our barstaff are very efficient under the steady hand of the Steward and the Management Committee, we get served quickly and at most times we can find a seat and watch the match or see some of the best entertainment in the city.